Why, in spite of its global presence as early as the medieval times, it’s often referred to as the Indian sweet dish? 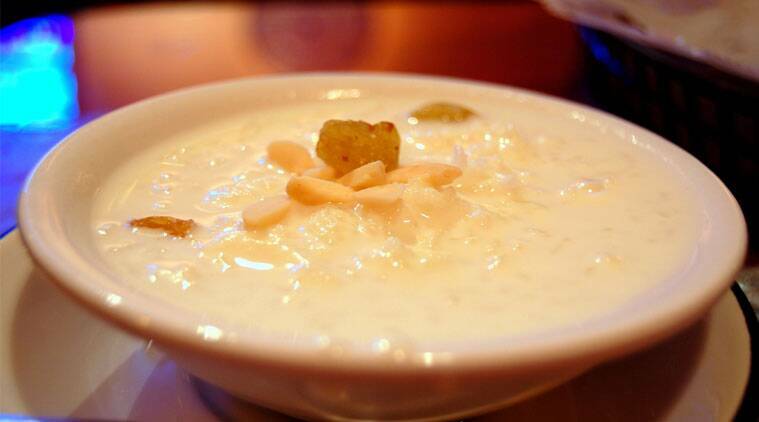 Have you ever wondered what is it about kheer that makes it such an endearing sweet dish? Aside the fact that almost anyone can make it, what really works in favour of this ancient sweet dish – which even Ayurveda recommends in its list of happy food for good health – is that it is an extremely versatile dish. You can make a kheer out of most of the fruits and vegetables known to the culinary world – from the famous apple kheer to bottle gourd to jackfruit and even almond that is usually used as a garnish. In fact, kheer remains the only dish that even has had a meaty side to it, like Potega and blancmange, which many believe were the dishes that led to the origin of kheer as we know it today. Romans used it as a stomach coolant and often used the rice pudding as a detox diet. The Persians, who introduced firni (yet another variation of kheer) in India, were also said to be rather fond of this sweet dish. In fact, they were the first ones to introduce the use of rose water and dry fruits in the dish, which till then was made by boiling rice first and then adding milk that could make the dish smooth enough to swallow yet with a little bite that made it the perfect meal. The creation of famous Shola, a rice pudding specialty from Iran and Afganistan, which can be had both as a savory or a rich sweet dessert made with saffron and rosewater was a variation of the kheer. Much like the sheer brinji, which many believe revolutionised the concept of kheer by introducing a wide range of flavourful additions like the kewra essence, raisins, cardamom, cinnamon, almond, pistachio and the famous edible gold leaf. In fact, with sheer brinji, kheer, which till then remained a hot porridge dessert, began to be served cold. So how did this oldest and most popular sweet dish originate? And why, in spite of its global presence as early as the medieval times, it’s often referred to as the Indian sweet dish? While it has been proven that kheer was a part of the ancient Indian diet, thanks to its mention in Auryveda, and the fact that rice arrived in India much before it did in Europe and neighbours around, who were introduced to this life saving kernel courtesy the Arabs and the Spice Route much later, very little is known as to when the first kheer was prepared or its story of origin. The first mention of kheer, which historians say was derived from the Sanksrit word kshirika (meaning a dish prepared with milk), is found in the fourteenth century Padmavat of Gugarat, not as a rice pudding but a sweet preparation of jowar and milk. Back then using millets in pudding was quite common. Unlike the West where nutmeg became a later addition to flavour the kheer, the Indian version always had the use of spice – prominently cinnamon or cardamom. This may have been to balance the sweet-bitter jaggery or fruits, as sugar was still an unknown ingredient in India. However that didn’t stop India from having its very own variations of this simple sweet dish like the now popular payasam, which is thicker and richer than the kheer. But the real popularity of kheer was accounted to its religious association and temples. Rice was said to be a part of all religious function during the Chola dynasty that upheld rice for its life sustaining qualities. And in that way kheer became an important part of all religious rituals. Of course the shwet (white) colour, which was seen as a symbol of purity and divinity, also worked in its favour. The records of Jagannath Puri talks about how the kheer was tweaked further to create the famous kheer prasad. Kheer in fact played a major role in the construction of yet another famous ancient India landmark, the Konark Temple. Legend has it that the foundation of the temple, which had to be ahead of the anchorage area in the sea, could not be laid after many attempts. Everytime a stone was thrown in the water, it would drown without a trace. When the project was almost shelved, the chief architect’s son finally came out with the solution. He used a bowl of warm kheer to show how a bridge could be build to the point so that a foundation can be laid. He used small rice balls in warm milk to show his point. That day, that little boy not only ensured that the Konark Temple was made, which was constructed on the same lines, but also discovered a new form of kheer called the gointa godi kheer, which today is one of the state’s signature sweet dishes. Such was the flavour of this dish that post the Kalinga War, it was one of the evening staples in Ashoka’s palace. The best payasam is found in the temples of Guruvayoor and Ambalappuzha. In the Ambalappuzha temple, payasam is served as part of a tradition, based on an ancient legend. The legend states that Lord Krishna took the form of an old sage and challenged the great king who ruled over that region to a game of chess. Being a true chess player and a master of the mind game’s tricks, the king gladly accepted the sage’s invitation. Asking what the sage wanted in case he wins the game, the king remained bedazzled by the sage’s request: an amount of rice grains for each square of the chess board, each pile having double the number of grains than the previous pile. Naturally the king lost and since then the tradition of pyasam being distributed free in the temples started. Heat the ghee or butter in a heavy pot over medium heat, and toast the rice for a minute. Add the bay leaf and milk. Bring to the boil, reduce the heat, and simmer, stirring occasionally, until reduced to half. Add the sweetener, currants, and cardamom, and simmer the mixture until it reaches one fourth of it’s original volume, and is thick and creamy. Stir in the optional camphor, and cool to room temperature, or refrigerate until chilled. Serve garnished with the toasted nuts.